23 cm tall (9 inches). 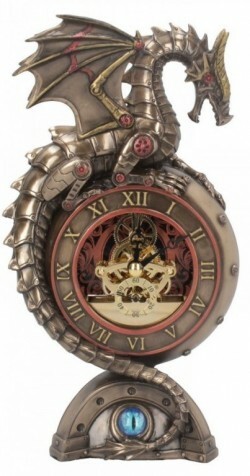 Detailed mechanised steampunk dragon clock showing clock mechanism. Unique figurine clock for display. Solid Cold cast bronze resin.